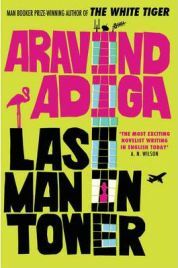 Aravind Adiga’s latest book ‘Last Man in Tower’ explores what it takes to turn ordinary respectable middle-class people into evil, devious, greedy beasts prepared to contemplate murder. It looks at how neighbours so emotionally and physically close that they live like extended family can become enemies. I would also say it offers wholly believable insights into the psychology of bullying and persecution – tracking how the perpetrators of abuse can convince themselves that they are in fact the victims despite their abusive behaviour. It’s fascinating stuff; a sort of ‘Lord of the Flies’ for India in the 21st Century but with seemingly sensible, normal, respectable adults instead of schoolboys. It’s the sort of book that has you thinking “That could never happen to me” at the beginning and gradually realising that this type of salami-slicing of morality could probably happen to almost anyone.